My computer and several other valuables were stolen from my room while I was in the bathroom, in a matter of minutes. I can’t even explain how disgusted, scared and angry I was. 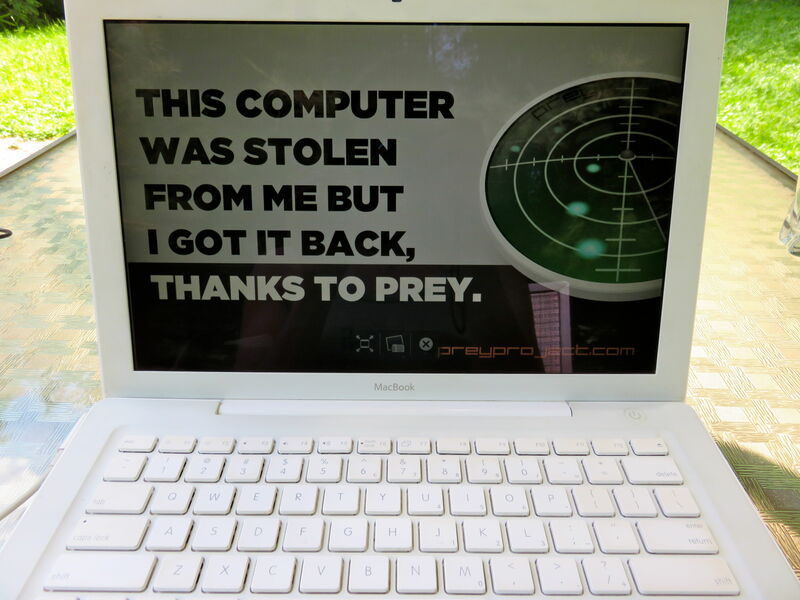 I immediately reported my computer as missing via my Prey account. I had installed Prey a few years ago after a friend casually recommended it. After reading some mixed reviews of tracking programs online, I have to admit I didn’t have the highest hopes that the program would actually work. I waited all weekend for a report… nothing. I was pretty worried that I hadn’t installed Prey correctly, or someone had figured out a way to disable it. Then on Monday night, I got an email with the exact location of the WiFi network to which the computer connected, a photo of the guy using my computer and a screenshot of what he was doing. I called the local police immediately and left at once to go to the place. Accompanied by the police, I was able to go in and locate the guy in the photo. He claimed that he was storing the computer for a friend who had recently bought it and was happy to hand it over, as he wasn’t looking for trouble. I had to leave it with the police for a few days, but we are now reunited. The whole thing seems unreal, but I am slowly internalizing everything. I can’t stop telling people about Prey and how everyone needs to install it now! Don’t wait! It would have been impossible to recover my computer without it, seriously. Thank you so much!